In 2011, the Phillies drafted Kyle in the 35th round and offered him Top-10 money. Freeland set the state’s single-season strikeout record as a senior at Thomas Jefferson High School in Denver. But the University of Evansville and Belmont were the only Division I programs to recruit him heavily. Kansas State and TCU came in late, but didn’t offer a full scholarship. Three years later, this one-time diamond-in-the-rough is blinding big-league scouts with his potential. “I don’t see a glaring negative,” said John Manuel of Baseball America. Freeland spurned the Phillies offer after they drafted him. Instead, he went to the University of Evansville in Evansville, Indiana. If there was a turning point, Freeland said it may have come in the summer of 2013. Pitching in the prestigious Cape Cod League, he was named an all-star for Hyannis after leading the league in strikeouts and ranking sixth in earned run average. His 15-1 strikeout-walk ratio ranked 2nd in the country and his 103 strikeouts ranked third. He has maintained that stuff this spring (2014). Freeland has a loose arm and plus-plus control and projects to have big league command. Freeland’s control has always been a positive. His fastball touches the mid-90s and at least one scout uses the word “filthy” to describe his hard slider. Freeland’s change-up is also an improving pitch. Freeland was drafted the same year former Evansville star Cody Fick was also picked by the Phillies. Though the two didn’t know each other well at the time, Fick played a role in leading him to Evansville. Kyle has a lean build similar to a surfer with broad shoulders and a V-shaped torso leading to a slim, trim waist and lean legs that will accommodate additional strength gains. He also offers athleticism as a former all-state golfer in high school. Freeland, a native of Denver, was born 39 days after the first regular-season game in Rockies history. The Rockies were his favorite team growing up. June 2014: Freeland was the Rockies #1 pick in the draft. Kyle was the 8th player taken, overall, behind only P Brady Aiken, P Tyler Kolek, P Carlos Rodon, C Kyle Schwarber, SS Nick Gordon, OF Alex Jackson, and P Aaron Nola. Kyle has been to Coors Field countless times, but the June 10, 2014 visit held an added bonus—a $2.3 million bonus to be exact. He visited Rockies facilities to sign his bonus worth $2.3 million, according to MLB.com's Jim Callis. That number is less than the $3,190,800 assigned slot value for the No. 8 pick but Freeland, a Denver native, was just relieved to officially be a Rockie. "It's always been my dream to come back to my hometown and play with [the Rockies]," said Freeland. "It's great to get this process over with and I look forward to playing baseball." That process included "jumping through hoops" for doctors earlier in the day. Leading up to the Draft, teams speculated about the health of Freeland's throwing elbow after viewing his high school medical reports. While that surely affected his leverage in the negotiating room, it didn't affect the excitement he felt when he was there for the Rockies. "When the eighth pick was there and they called my name, it was the best feeling in the world," said Freeland. Freeland grew up idolizing Rockies like Larry Walker and Todd Helton before setting the Colorado state single-season strikeout record while attending Thomas Jefferson High School in 2011. The Phillies selected Freeland in the 35th round that year and pushed hard to sign him, but Freeland elected to go the college route. In 2015, Baseball America rated Freeland as the 3rd-best prospect in the Rockies organization. They had him at #6 in the winter before 2016 spring training. He was at #8 in the spring of 2017. Freeland lettered three times in baseball and four times with in golf at Thomas Jefferson High School. Kyle was electric from 60 feet, six inches in his spring outings. He was even better from 75 yards -- with a high-powered bow and arrow. Freeland, a Denver native, had never picked up a bow and arrow until this past offseason, joining Tom Murphy and several other Rockies. Learning of this interest upon becoming the Rockies' manager, Bud Black organized a tournament. And Freeland, the newbie, smoked a realistic wild boar from 75 yards in the final round to win over Murphy, second baseman DJ LeMahieu, and bullpen coach Darren Holmes. "I just got my first bow this past offseason," said Freeland. "I've never hunted before. I just wanted to pick it up and start learning." As is often the case with athletes, any activity becomes competition. And Black figures anything involving fun and competition can be used for team-building during a Spring Training that can wear long. "With Freeland, there is a passion for this," Black said. "And when there's a passion for something, there becomes repetition, so you practice. 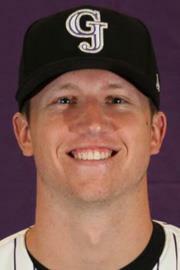 April 7, 2017: Kyle Freeland grew up 25 minutes from Coors Field in Denver's Hampden Heights neighborhood hoping someday to pitch there. But the first time he was invited to pitch there, the Colorado Futures Game when he graduated Thomas Jefferson High, he passed. "Me and my friends had planned a senior trip down to Mexico," Kyle said. "I knew I had more baseball coming." Freeland, a lefty pitcher, made his debut for the hometown Rockies and struck out six—including four straight—and held the Dodgers to one run and four hits in six innings of a 2-1 victory in his Major League debut before a sellout crowd of 46,169 for the Rockies' Coors Field 2017 home opener. The Rockies' top pick in 2014 out of the University of Evansville, Freeland—who arranged for 26 tickets but had a city full of support—had to control his nerves. A hit and two walks, with several close pitches, loaded the bases in the first, but Freeland forced a Yasmani Grandal grounder. "I was trying to play it cool, but the butterflies were jumping around in my stomach," said Freeland, who came to the field early to soak in the moment and try to calm down. "I tried to stay focused on what I needed to do. After I got out of that first inning with that bases-loaded jam, I was able to settle right in a groove. I knew how my pitches were working." Kyle wasn't scheduled for his next start until the 16th of May, which meant he could celebrate two occasions on the 14th: Mother's Day with his mom, Susan, and his 24th birthday. And he did do both in his hometown. Freeland has had quite a few special occasions at home. He received the honor of making his Major League debut in the home opener in front of the entire family on April 7, 2017. Freeland pitched out of first-inning trouble and held the Dodgers to one run and four hits in six innings of the Rockies' 2-1 victory. Freeland's poise wowed his mother, as it always does. Susan played softball growing up. "I do not have his calm demeanor," said Susan Freeland, who works as secretary at Holm Elementary School in southeast Denver. "They put me in once to pitch, and I was a nervous wreck. I don't know how he does that." As a youngster, he said, "I would try to think of myself as certain pitchers, like Jeff Francis … Aaron Cook, Ubaldo Jimenez, Jorge De La Rosa." His mom saw that, especially when they would run home from lunch from the elementary school and play catch. "When you think about baseball, you think of dad and kid, but she was behind the scenes, doing a lot of work," Freeland said. "She'd be in the backyard with me when I was little and dad was at work and she'd be home for lunch. She's be throwing balls in the backyard and I'd be saying, 'One more.'" Now he was pitching—as himself, not imitating one of his idols—right there at Coors. It would have been nice if he could have seen his mom's face during the home opener. "I really wasn't able to see them," he said. "We had a pretty packed house that day, but I knew what section they were in. I'd kind of glance up every once in a while and try to pick them up. But I could feel that they were there." His mother was right there with him. When Freeland began consistently hitting the strike zone, meaning he had settled in, she calmed somewhat but couldn't quite relax. She had a good enough time to answer texts from folks who saw her face on television and she enjoyed the company among the family. It wasn't until Freeland left the game, though, that she truly relaxed. May 25, 2018: Rockies lefty pitcher Kyle Freeland grew up about 15 minutes from Coors Field, and he provided living proof to children at Castro Elementary School that their dreams might not be far away, either. Freeland showed up for the school's field day, and cheered and directed the boys and girls. As a product of Denver public schools, he played in the R.B.I. (Reviving Baseball in the Inner City) program as a youth, and starred at Thomas Jefferson High School before going to the University of Evansville and then being drafted in the first round in 2014. Freeland wants to stay close to his roots. In his second year with the Rockies, Freeland is in the early stages of encouraging those who are growing up like he did. And he's not just pushing baseball or sports. Freeland and John Fuller, of Full Athlete Marketing, want Freeland delivering the message of participation in several disciplines. "I got to talk with some of the kids, interact with them, take some pictures and just enjoy the day with them," Freeland said. "I was at the obstacle course, where they had to jump over some hurdles and jump through some standing-up hoops, like a relay race kind of thing. They were out there having fun. "At their age, you want them to get a taste of everything and find what they love, whether it be baseball, football, soccer, anything. It doesn't even have to be sports. It could be playing an instrument. Education is key and it comes first, but at the same time you want to find something that you can put your heart into." Freeland had some events in Pueblo, Colo., and in Denver—at Holm Elementary, which he attended and where his mother still works in the office—during the offseason. July 5, 2018: The Rockies just finished up a stretch of 22 games in 23 days. Over the course of a big league season, MLB players don't get too many days off. But when Colorado starting pitcher Kyle Freeland looked at this week's schedule, he realized he had the chance to do something special. The Rockies arrived in Seattle close to 1 a.m. following their 1-0 win over the Giants in Denver. Nonetheless, Freeland sacrificed a few hours of sleep to make it out to this week's 2018 Special Olympics USA Games. "A bit of a quick turnaround," he admitted. "But it wasn't that bad." Freeland was out of bed by 8 a.m. and made it to the University of Washington to spend some time with four of the local teams Colorado sent to the Games—soccer, bowling, tennis and track. Freeland gave pep talks, practiced celebration dances, took photos and even pitched to a few of the younger kids during his time at the Games. "Truly incredible athletes," Freeland said. "It's really amazing watching them do what they do and how similar to us, how committed they are to their sport." One tennis player and Rockies fan wasn't shy about engaging in a little trash talk with Freeland, who has gone 8-6 with a 3.25 ERA this season. "Yeah, I probably serve harder than you throw," she told him. The excitement of having Freeland in the stands started to have a noticeable impact on her game as her team won a gold. "You could see her just light up on the court and almost start dancing as she was about to serve," said Georgia David, Volunteer, Family Services and Athlete Leadership Manager at Special Olympics Colorado. "We were trying to get her to calm down so she could focus on the game but she was particularly very excited and was super stoked to meet him post-match, and post-gold medal match which was even better." Heading into the 4 x 100 relay, the only athlete of the 29 Colorado athletes who had not earned a medal was set to compete. Freeland shared one last pep talk with the group before they competed. "Pull for your teammates, work hard and have as much fun as you can," Freeland told them. When it came time to start running, the athletes were pulling for more than just their own teammates. "We're doing this for the Rockies," one athlete yelled just before the race. The team clinched bronze in what David called a very competitive heat of eight states, meaning every Colorado athlete at the games medaled. Freeland was jumping up and down on the sidelines and cheering them on the whole time. When you ask Kyle's teammates to define his strongest trait, one specific adjective transcends the Rockies' clubhouse. "It's his competitiveness. First and foremost. It predicates everything else," catcher Chris Iannetta said. "I love how competitive he is. He's very hard-nosed, very intense when he's out on the mound. It serves him well," outfielder Matt Holliday echoed. "He's ultra-competitive and he feels that, even if his stuff isn't there," third baseman Nolan Arenado added. His second big league season of 2018 has demonstrated his competitive mentality. Freeland has quietly dominated hitters this season, one year after an encouraging rookie campaign in which he earned a few votes for NL Rookie of the Year. There was no "sophomore slump" for the 25-year-old southpaw. Freeland has highlighted a young starting pitching staff eager to change the dynamic in Denver. Perhaps it's fitting that a homegrown kid, who was born in Denver and attended Thomas Jefferson High School (just 13 miles from Coors Field), is the face of a new wave of talent in Colorado. While Freeland is quick to claim that he's just one of five guys, his stats this season may be enough to change the conversation on the evaluation of pitchers at the hitter-friendly ballpark. Freeland has a 90-97 mph FASTBALL he commands to both sides of the plate, a plus 84-87 mph SLIDER that eats up lefthanded hitters with late-breaking tilt, that can come out like a cutter He also has a fair 78-82 mph CURVEBALL that gets a 40 grade. And he can also use that slider to back-foot on righthanded batters. He also has a fringe-average CHANGEUP that has some fade, due to a new grip he began using late in the 2015 season. The altered grip: "It was kind of me getting comfortable throwing it with my pinkie and ring finger instead of throwing it mostly with my ring finger and my middle finger,” Freeland said. “That helped kill a lot of velocity.” Kyle said the pitch sits at 84 mph, and he’d like to drop it to 80 mph. He has good life, velocity and command of his heater. And it has varied fastball movement in every direction, featuring explosive glove-side run on his four-seamer and arm-side run on his two-seamer. He produced downhill plane and sink, pitching in the lower half of the zone on both outer-thirds of the plate. He creates deception in his delivery, and the ball jumps out of his hand with a loud fastball. 2017 Season Pitch Usage: 4-seam Fastball: 31.4% of the time; Change 32.5% of the time; Change 6.6%; Slider 5.8%; and Cutter 24.4% of the time. 2018 Season Pitch Usage: 4-seam Fastball: 38.8% of the time; Sinker 13.5%; Change 13.4%; Slider 6.6%; and Cutter 27.6% of the time. Average velocity: 4-seam 92.6 mph, Sinker 91.3, Change 86.2, Slider 81.8, and Cutter 86.7 mph. He has very good command that rates a 65 or 70 on the 20-80 scouting scale. So, throwing strikes is not a problem. And neither is throwing inside to hitters, fearlessly, not just for intent, but to get guys out. Spring 2018: Before a solid rookie season in 2017, Freeland added a little stop and kick, "the Kershaw pause," he called it, to his delivery. He won 11 games and nearly threw a no-hitter, but some bad habits developed as well. This year, Freeland has figured he doesn't have to be Clayton Kershaw, the Dodgers' ace. Freeland showed that being himself just may be good enough. Rockies pitching coordinator Darryl Scott negotiated the pause—originally adopted to keep his weight gathered at the top of the windup—out of his delivery in November. His new-look delivery is part of that, since he is better able to keep his momentum toward his target. "We both agreed that I needed to find something that makes me more directional and gets rid of my front leg swing that was making me rotational," Freeland said. October 2018: Freeland started the NL Wild Card game on short rest against Jon Lester and the Cubs at Wrigley Field. The Rockies won in extra innings. As of the start of the 2019 season, Kyle had had a career record of 28-18 with a 3.39 ERA, having allowed 351 hits and 34 home runs in 358 innings. Freeland added that once he got his new mechanics consistently last year, he started talking with Chris Iannetta and Tony Wolters about throwing “more left-on-left changeups [and] throwing that front-hip sinker to righties” so that he could add more to his arsenal in different locations and counts. He said that the hardest part about adding these two new “pitches”, or current pitches but differing locations, is “communication with yourself, your catcher, and anyone that you’ll kind of want to lean on about it.” One of those players is Ryan McMahon, who Freeland said that he has been using as his left handed hitter for his changeups. March 24, 2019: Rockies left-hander Kyle Freeland has plenty of success to look back at as he takes the mound for his first Opening Day start March 28 in Miami. Kyle is a very good fielding pitcher. Freeland is a real athlete. He is even a good hitter for a pitcher. 2014: There were medical reports that cast doubt on the health of his elbow. But the Rockies were not concerned. Their doctor performed arthroscopic surgery on his left elbow when he was in high school (in 2009 or so). April-July 24, 2015: Freeland had some shoulder soreness in spring training and began the season building arm strength in extended spring. But soon, he was under the knife, undergoing surgery to have bone chips removed from his left elbow. August 5-15, 2017: Kyle was on the DL with a strained left groin.